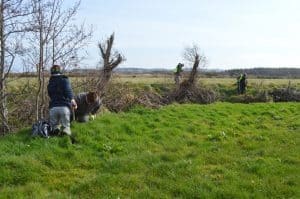 April 2018 – A great community event was held in Culdaff on Saturday 14th April 2018 in Culdaff were a number of different groups came together to clean up the village and Culdaff River. 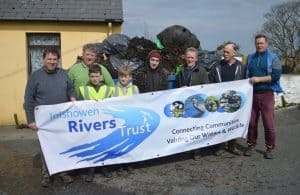 Individuals from Culdaff Community Angling Group, Culdaff Sea Anglers, Culdaff Tidy Towns, Loughs Agency and the Inishowen Rivers Trust joined forces to remove litter from the river and river bank. 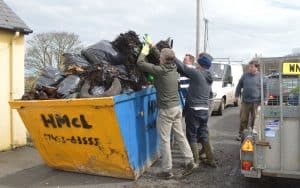 A large quantity of litter was removed – everything from plastic bags, silage wrap, socks, shoes, cups, kettles and even a few bikes were stacked up high for collection by the Council. Cleaning up our rivers is an important task. Litter in a river can cause damage to wildlife, reduces water quality and can be a hazard. Clean ups must always be conducted in a group for safety reasons but the results are well worth the effort and you never know what you might find! 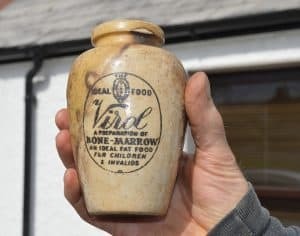 Please get in touch if you wish to learn more about the IRT, would like to give us feedback or would like to Get Involved in any of our volunteer activities.